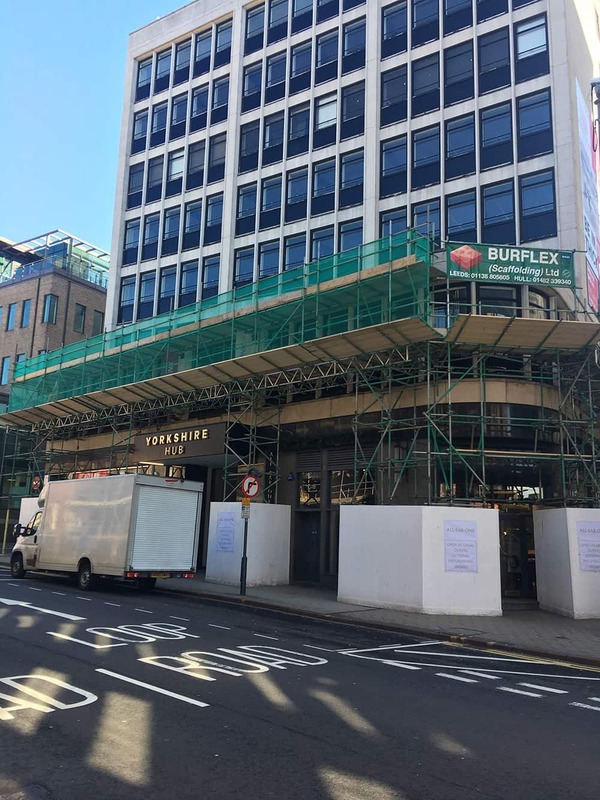 Our scaffolding services in Leeds have been in great demand here at Burflex for the last few months, as we’ve been keeping very busy working on Yorkshire House in the city, refurbishing the entire building. 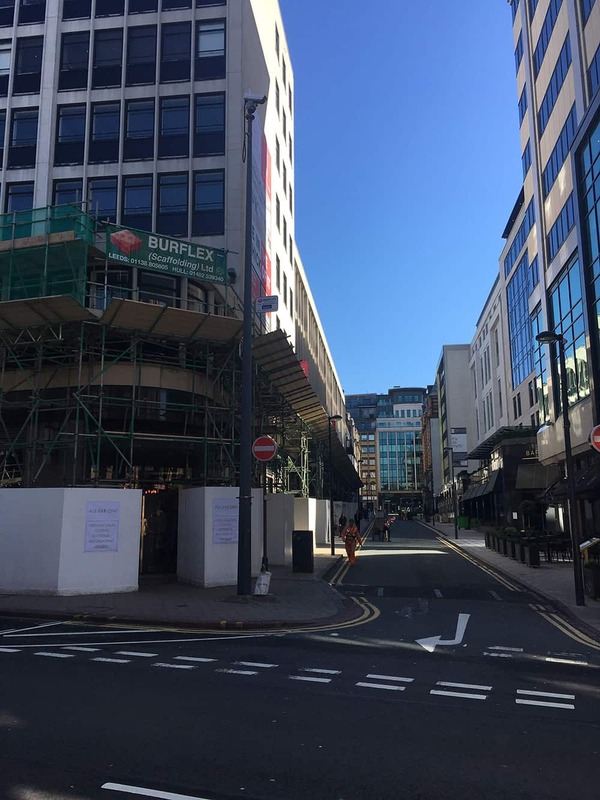 The work began in March this year and will be going on until the summer, expected to be completed by August. The building itself boasts a sleek, modern design, with 83,000 sq ft of office space in the very heart of Leeds city centre – so everything really is on right on the doorstep for businesses looking to set up shop in this part of the UK. Yorkshire House is a low carbon space that has a rating of Excellent under the international BREEAM refurbishment and fit-out standard, so if this is a concern for you and your brand it might well be the right fit for you. In terms of aesthetics, the building boasts beautiful natural wood polished floors, designer pendant lighting, high ceilings and a terrace on the fifth floor. There is also secure indoor cycle storage as well as a maintenance station, dedicated car charging spaces, one of the biggest solar installations in the whole of Leeds and LED low energy light fittings. In terms of location, Yorkshire House is just a short five minutes away from Leeds train station so perfect for commuters. And walk just two minutes and you’ll find yourself surrounded by a huge range of different eateries, wine bars, craft beer houses… you really are in the thick of it here. Other amenities include dedicated male and female changing facilities (including seven showers and one accessible shower), 55 storage lockers, WiFi throughout the common areas, an onsite commissionaire during working hours, CCTV coverage around the perimeter, in reception and the basement, and 24-hour card coded access. 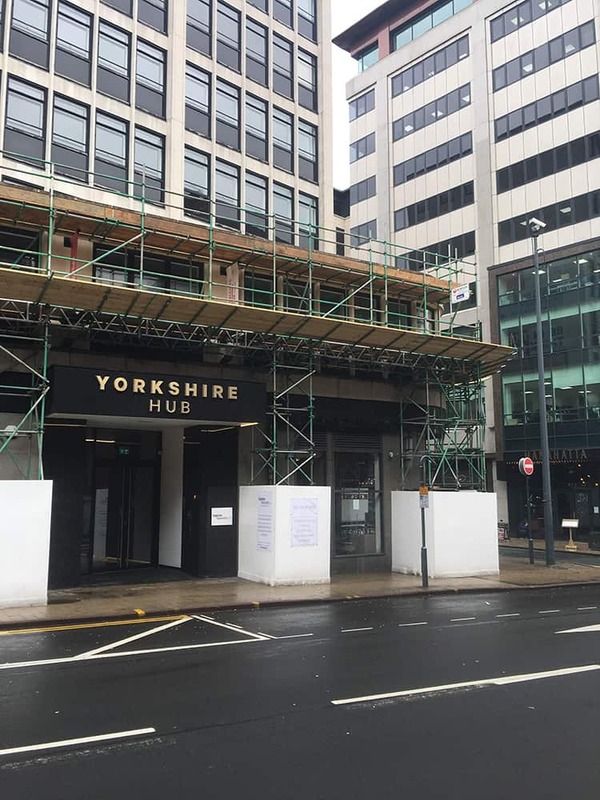 This is just one of the many jobs we’ve worked on in Leeds but our scaffolding services are also available for other work across the north-west. We’re a member of the National Access and Scaffolding Federation, with regular audits carried out to ensure we comply with stringent safety and technical standards. 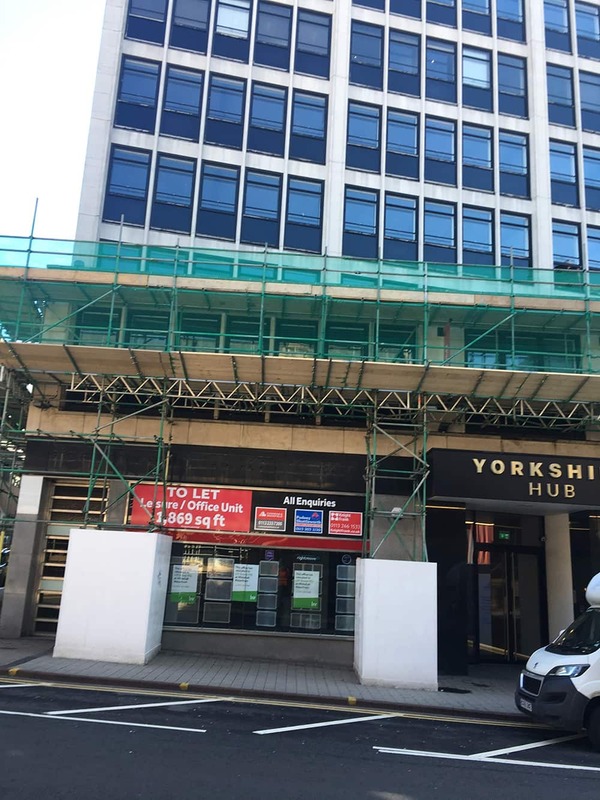 If you have a similar job to Yorkshire House and need help with scaffolding, no matter what sector you’re in, get in touch with the team here at Burflex to see how we can help.